An English college placement test measures what you learned in high school. Many colleges require incoming freshman to take placement tests in English to assess their knowledge and skill. Your scores determine which English courses you should take when you start the semester. It can also tell your academic advisors if you need additional reading and writing help to ensure your successfully transition to college. To ensure students are ready for college-level English courses, many schools require an English placement test, or EPT, as a fair and uniform way to measure new students' abilities. The results of the EPT help the university identify students who need remedial assistance and allow some students to skip introductory courses. There is no uniform EPT, so tests may vary from school to school. For example, California State University's EPT consists of two half-hour multiple-choice sections and a 45-minute essay. At the University of Wisconsin Milwaukee, the EPT includes three subtests: English Usage, Sentence Correction and Reading Comprehension. Students have 90 minutes to complete the entire test. A typical EPT measures your reading and writing skills. On the reading section, you will read passages and then have to answer questions related to the main idea, drawing inferences, sequence of events and vocabulary. On the writing section, you will show your ability to correct mechanical and grammatical errors. You may have to fix problems like run-on sentences, subject-verb disagreement, capitalization, punctuation and word use. You can contact your college admissions office to ask for the format, length and types of questions you can expect to see on your EPT. General ways to prepare for these tests include reading a variety of materials, such as newspapers and journal articles, paying attention to sentence structure, word use and sequence. Look up any words you don't recognize. Most writing EPT tests provide an essay topic of general interest. 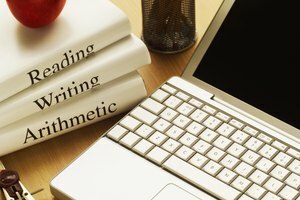 Practice planning, writing and editing general essay topics like those on the ACT or SAT. Pay attention to articulating and supporting complex ideas, constructing arguments and sustaining a focused and organized essay. Ask a parent, teacher or English-savvy friend to reread your essay and provide suggestions for ways you can improve. At some universities, not all freshmen are required to take placement tests. This is often based on your SAT, ACT or Advance Placement examination scores. For example, Ohio State University allows students to skip the English placement test if they received an ACT English score of 19 or higher or a SAT verbal score of 455 or higher. Another circumstance where you may be exempt from taking an English placement test is if you transferred English credits from another college. After taking the test, you may be automatically assigned to an English course that best fits your academic abilities or you may have to meet with your advisor to discuss your course options. At some schools, if you test below the minimum requirement, you have to take remedial classes to improve your English skills. These courses may not earn you college credit, but they will increase your chances of academic success. The College Board: What Are College Placement Tests? Gorman, Fitzalan. "College Placement Tests for English." 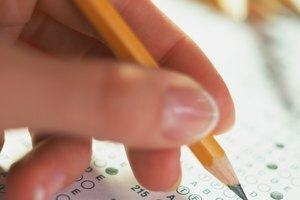 Synonym, https://classroom.synonym.com/college-placement-tests-english-1555.html. Accessed 23 April 2019.